Women in the workforce, listen up: Caitlyn Jenner's thoughts on women in business are pretty spot on. In a recent talk she gave at the 2016 MAKERS Conference in Rancho Palos Verdes, California, the Olympic champion and reality television star had some incredible things to say about women embracing their power and harnessing it for serious good — especially when it comes to the workplace. 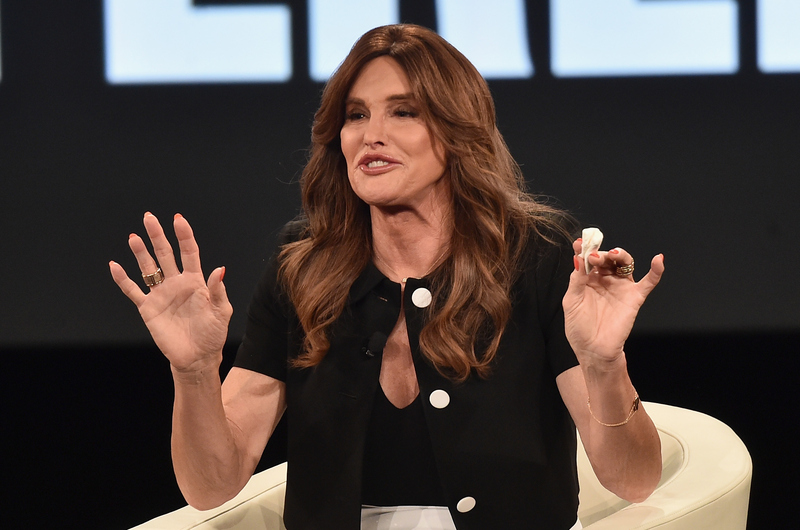 Jenner continued her comment, saying that “the power [women] have… in the business world is totally untapped. The world is out there for women if they’re strong.” And while I might question her use of the word totally (we have made considerable progress already), I was entirely inspired by her message. It’s easy sometimes to take a backseat — in life and at work — especially when there are bigger personalities in the room or bigger priorities that you are facing. But what Jenner is saying is that if you want to be that kind of woman who embraces her power, it’s there for the taking. Jenner draws on the examples she’s seen in her own life, citing Kris Jenner, her ex-wife, as a perfect case of a woman who harnesses her power and never backs down. “Kris,” Jenner said, “was brilliant at it.” And, I do have to say, that’s a pretty amazing example, because Kris has built an entire empire with that family of hers. Clearly, she’s a great example of a woman who has harnessed her power and used it to take on the world. Now — go out there and take over the world!